Get your free artisan contractors insurance quote from RC Cook Insurance. Call 330-296-3628 for more information. We're located in Ravenna, OH. Every contractor in the state of Ohio understands the importance of business insurance. However, not all contracting businesses are the same and the same thing goes for risk management issues like insurance. In fact, you may be able to save money and get coverage customized for your business when you take out artisan contractors insurance, and here are some reasons why. So many things can happen to a contractor. You could have a traffic accident or an on the job injury. A large storm could ruin your offices or equipment. Someone might sue your business for a number of reasons. Unless you have the right coverage you could find yourself out of work. An artisan is more than a contractor. This professional is also an artist and skilled craftsman. Artisans create as well as build and they take raw materials and shape them with their own hands to turn them into things which are not only useful but also beautiful. Builders risk insurance - this specialty contractors insurance protects what you are working on while it is being built. This is very important for building and home improvement contractors. Installation floaters - more specific than builders risk coverage. For example, an HVAC contractor may take out a policy for a commercial HVAC system and materials needed for the job. This will protect them during transit and while they are stored at the job location. Inland marine coverage - this protects all equipment and supplies while in transit to the job site and back. Also called cargo insurance. Errors and omissions insurance - standard contractors insurance in not always enough and this covers mistakes you or your people make that result in damages or injury. Without this protection, you could be facing a major lawsuit which could wipe you out. Loss of income insurance - what are you going to do if your equipment, vehicles, or building becomes unusable for a significant amount of time. This coverage can be included in your artisan contractors insurance policy and it pays you for lost time, so you can afford to stay in business. Performance bonds - protects the client as these bonds guarantee you can complete your services. Some clients (like large municipalities) insist on bonds. Employee non owned liability - covers accidents occurring when your employees use their own cars for business reasons. Additional liability insurance - some companies have more liability risk than others and need more protection. Not all insurance policies provide the same kind of protection. In fact, it can be very difficult to shop for business insurance when there are so many companies and they all claim to have the best coverage and lowest premiums. In reality, this is not possible because insurance coverage should be customized to fit the business and business owner. This is the reason you should consider a full service independent professionals fromThe R.C. 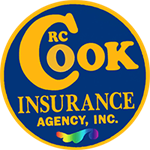 Cook Insurance Agency. Multiple policy discounts when you include commercial vehicle insurance with your business policy. If you are in need of contractors insurance in Northeastern Ohio and you don't want to pay too much but also want the best possible protection, come to The R.C. Cook Insurance Agency. We are here with loyal and dedicated service and we can take care of most of your insurance needs, both business and personal. It doesn't take long to get a free, no- obligation quote today. For additional information, please feel free to call us at (330) 296-3628.